University Grants Commission (UGC) Chairman Prof Abdul Mannan on Wednesday demanded steps to set up a separate training institute for university teachers around the country. The UGC chairman came up with the statements while addressing a views-exchange meeting on the proposed ‘Higher Education Acceleration and Transformation (HEAT)’ project at UGC head office in the capital. Prof Mannan said quality teachers in tertiary education can play a crucial role in achieving Sustainable Development Goals (SDGs) of the country. The five-year HEAT project is expected to start this year. The project will be jointly financed by the government of Bangladesh, some participating countries of the region and the World Bank. Addressing at the meeting, World Bank representatives said it will focus on strengthening higher education governance in areas of teacher management policies. UGC needs to be upgraded as Higher Education Commission for ensuring quality education in the country. Under this project, it will help digitize UGC’s operation and university administration system, they added. 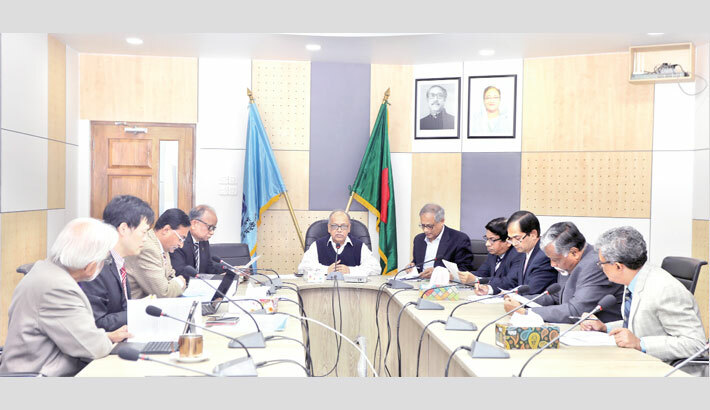 About Bangladesh Accreditation Council (BAC), WB said it will extend technical assistance to BAC as well as its operation. It will also help BAC to get membership of international QA agencies and set up IQAC to all universities. In higher education financing, World Bank suggested performance based funding of public universities. It said initially 10 percent of university allocation may be performance based. Under HEAT project, a universal certificate repository for the authentication of degrees and certificates of Bangladesh’s tertiary education would be established. About university admission system, World Bank and other participants said the university admission and examination system needs to be digitalized for the welfare of the students. It also suggested teacher management guideline and national policy guideline for internship. UGC members Prof Mohammad Yousuf Ali Mollah, Prof Md. Akhtar Hossain, North South University Vice Chancellor Prof Atique Islam, education ministry’s additional secretary Abdullah Al Hasan Chowdhury, additional secretary Dr. Md. Mahmud-Ul-Hoque, and senior operations officer of World Bank Dr. Md. Mokhlesur Rahman were also present.